A 120,000-square-foot warehouse on 5 acres in Globeville is under new ownership. 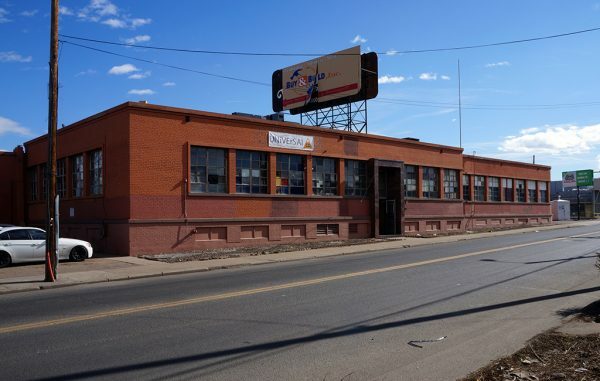 Tributary Real Estate and Leuthold Commercial Properties purchased 4800 N. Washington St., along with 790 and 850 E. 48th Ave., last week for $10 million, according to county records. The building houses a showroom for Buy & Build, which sells cabinets, countertops and products for kitchens and bathrooms. Other tenants include liquidator Colorado Closeouts. Tributary and Leuthold said the companies will continue to lease the space. The property was sold by Pierce Group LLC, which is controlled by individuals who own some of the businesses on the property. Pierce Group acquired the parcels for less than $1 million, according to property records. It purchased 4800 Washington St. in May 1998 for $600,000, then bought 850 and 790 E. 48th Ave. in December 2008 for $190,000 and $167,500, respectively. Russell Gruber of Newmark Knight Frank represented the seller in the transaction. It’s the second big Globeville industrial deal in less than two months. Greenwood Village-based Alberta Development Partners paid $7.1 million in December for 4920 N. Washington St., which features a 40,500-square-foot building on a 4.3-acre lot. Globeville is across the South Platte River from National Western Center, where the city is investing millions to turn the stock show site into a year-round event and educational complex.